Damage to your skin after years in the sun can age your face greatly. Sun spots, redness, and other skin conditions caused by sun damage and aging make your skin look older and less radiant. Many products promise to diminish the signs of aging but can be very expensive and time consuming. To help combat these skin conditions, BroadBand Light treatments (BBL) are very effective. BBL allows your provider to treat age and sun spots, small facial veins, and many other skin conditions. The treatments are personalized to each patients skin type to achieve the greatest results for each and every person. BBL delivers light energy that gently heats the upper layers of the skin. The heat absorbed by the targeted areas stimulates the skin cells to regenerate new collagen. This course restores your skin to its natural beauty by blending its natural colors and making it more vibrant, smoother, and younger looking. The photothermal energy will also lessen the vessels that cause redness and reduce unwanted melanin that causes pigmented lesions. 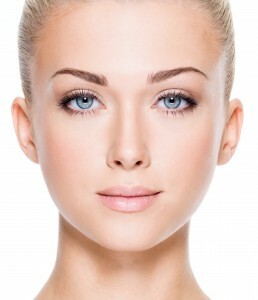 At NOVA Plastic Surgery, we offer BBL packages for the face, chest, and hands. These are the areas that are most effected by everyday sun exposure and aging. During the BBL procedure, your eyes will be protected with safety glasses. The actual pulses of the light treatment feel similar to a rubber band snap. The entire treatment is quick and can take anywhere from several minutes to half an hour, depending on the area that you are getting treated. Immediately after the treatments, you may experience redness that should resolve within a few hours. For some age spots/sun spots you should see a darkening of the targeted area followed by fading and flaking off at a later stage. After treatment, your skin will feel smoother and your pores and fine lines will be less noticeable. For optimal results, you will require more than one treatment. This will be discussed with you by your provider at your first appointment. At NOVA Plastic Surgery, we offer BBL treatments by single sessions, packages of 3, and packages of 6. You can also combine two areas, such as face & chest or face & hands into one package. At your first appointment, we offer a complimentary consultation to determine whether BBL treatments are right for you and what type of package would benefit you the most. We will only recommend BBL packages to those people who we believe will actually benefit from it. If you would like to schedule a complimentary first consultation, please call our office at 703-574-2588.